Revitalizes and replenishes. Cleanses completely without leaving any greasy residue. Maintains skin’s lipid barrier. This lightweight, silky cleansing oil dissolves dirt, make-up (including mascara), and excess oils while maintaining your skin’s natural lipid barrier. Sustainably extracted from plants and flowers, this balanced formula includes Borage Oil, Sunflower Oil, Safflower Oil, Jojoba Oil, and Olive Oil. All thoroughly cleanse, condition, and soften skin without leaving any residue behind. Rosehip Oil, Argan Oil, Marajuca Oil, and Sea Buckthorn Oil add omega 3, 6, 7 and 9, vitamins C and E, linoleic/linolenic acid and essential lipids to the skin, revitalizing and replenishing your complexion while you whisk away impurities. This formula is not thick or greasy and a breeze to use. Simply lightly stroke on a small amount of the oil on a dry face using dry hands. Then rinse with warm water. It’s that simple. The remains of the day will be removed and you will be left with a lovely, fresh, clean complexion. Never before has washing your face been such an enjoyable experience. 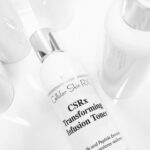 For more information on this special facial cleansing oil, see Dr. Glow Girl’s blog on the subject here. For the best experience, first breathe in the natural fragrance of the oils. Relax and lightly stroke a small amount on to a DRY face using DRY fingertips. 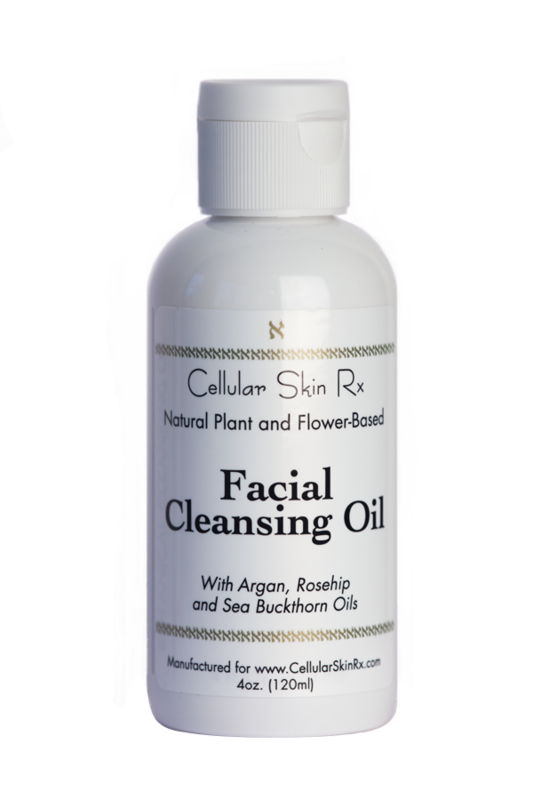 Work the facial cleansing oil into the skin gently using upward strokes and circular patterns. After 60 seconds, rinse with warm water. You will observe the facial cleansing oil become a milky emulsion. This emulsion rinses off completely, taking dirt, impurities, and make-up along with it. Pat dry. Your complexion will feel soft (never tight and dry, or greasy), replenished, revitalized. Safflower oil, sunflower oil, argan oil, rosehip oil, olive oil, sea buckthorn oil, marajuca oil, borage oil, jojoba oil, bois de rose oil, lavender oil, lemon peel oil, orange peel oil, citrus reticulata oil, mentha arvensis oil, eucalytus oil. Other ingredients: caprylic triglyceride, tetraoleate, alkyl benzoate, tocopherol, propanediol. Use DRY hands on DRY face. Use light upward strokes and circular motion all over face for the best experience. Rinse with warm water, splashing several times to help stimulate circulation in the face. I first received this product as a sample and was doubtful that I’d like an oil based cleanser, in part because I have mild rosacea and find some oils (even natural oils) irritating. But I’ve been pleasantly surprised with this cleanser. When mixed with water it becomes very light in consistency and white in color. When applied to my face it cleanses gently, even removing the zinc oxide from my sun screen. My skin feels clean, soft, smooth, not dried out, stripped, or irritated. Where has this product been all my life? I love it! I have always used Shiseido’s cleansing oils or DHL’s but I decided to try yours anyway. I am so glad I did. Being able to rinse it off with a few splashes of water is so much easier than all the toweling off I used to do. Plus, I’m not spending a fortune anymore. Thanks!